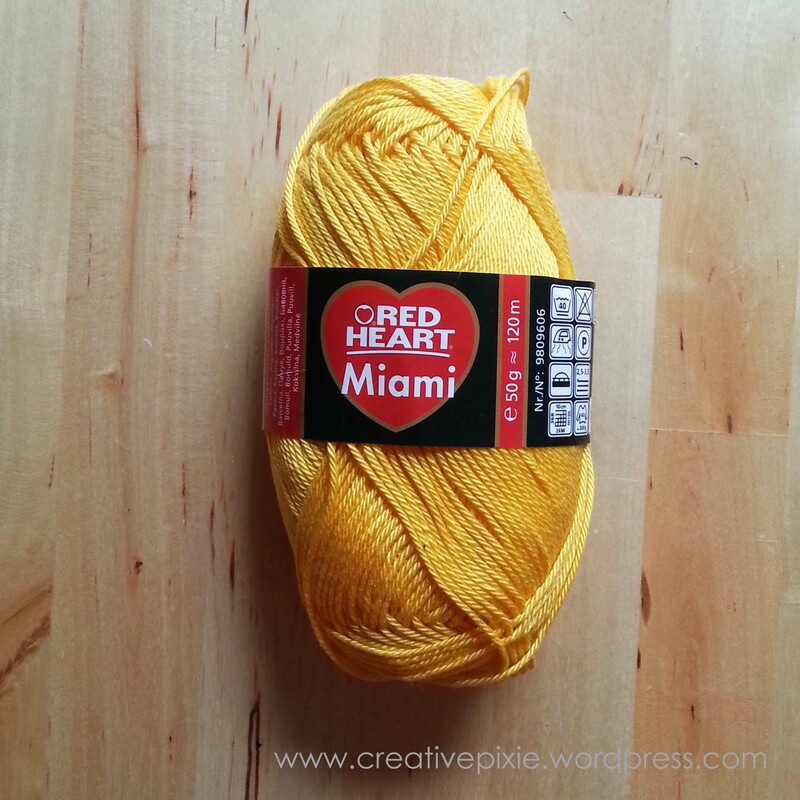 A couple of weeks ago I won a 50g ball of Red Heart Miami in a giveaway over on the UK Crochet Patterns blog. There was only one condition…that I make something with the yarn and review it on my blog. From here until the end of the pattern, do not join at the end of a round. Use stitch markers at the beginning of each round if needed. For Baby Washcloth repeat Round 4, increasing the dc’s between ch-1′s by 1 (as is shown in Round 5) until Round 11. For Large Washcloth repeat Round 4, increasing the dc’s between ch-1′s by 1 (as is shown in Round 5) until Round 14. 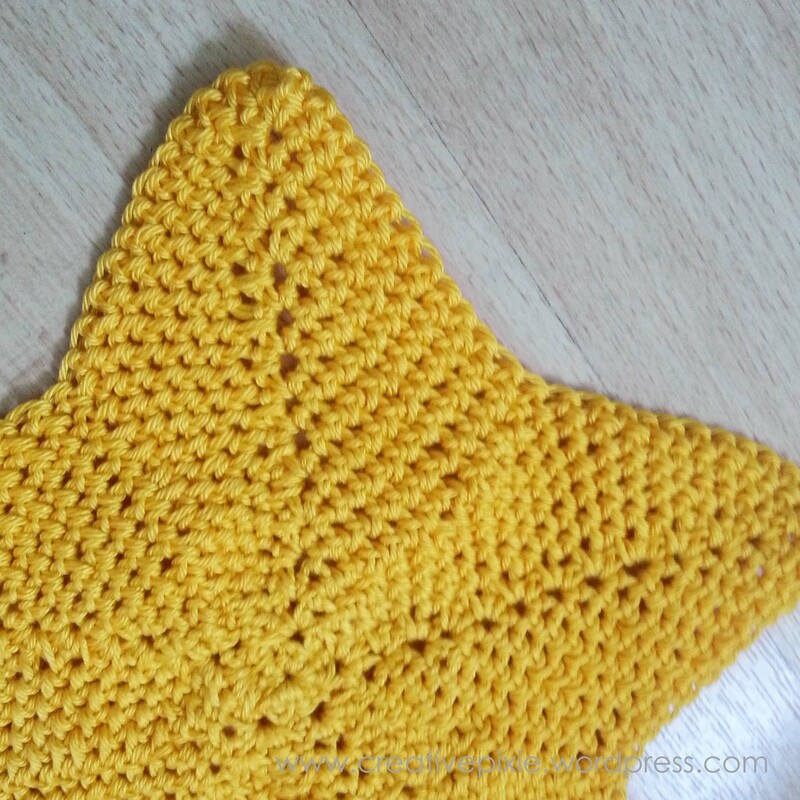 Here’s my star washcloth. I actually crocheted 15 rounds just to make it a little bit bigger For my Round 14 I increased the same way I did for the previous rounds and then for the final round I dc in each dc all the way around, skipping the ch-1 spaces then sl st into the first dc made joining the beginning of the round to finish off. I found the cotton smooth and pleasant to use, it was soft and the colour vibrant. I think I could use the remaining yarn to make a few mini stars for Christmas bunting (is it wrong to think about Christmas crafts in the middle of July?!). Thanks to UK Crochet Patterns, Red Heart and the Crochet Spot for a fun crochet make. Your project is beautiful!! I love the color too!!! Very pretty! I need to make a few wash cloths as so many of mine have faded. I might give this pattern a go. Thanks for sharing. It’s a simple enough pattern so I’m sure it could be modified to make 6 & 7 pointed stars if you wished. Thanks for commenting. I learnt a lot from this blog- a new to me pattern site, information about a new yarn and that real people won things. I shall look out for these freebies in the future. Many thanks Jean! Congratulations on your win, and you’ve made a lovely star. I love to crochet, so this would be a fun thing to try. Thank yo for sharing! My blog gets published on Monday. Ooh thank you. I look forward to reading it. Oooh, I’ve been experimenting with stars myself. This could be just the inspiration I need. It’s certainly not too soon to think about Christmas. I may put it to the back of my mind during the summer holidays, but come September, once my jam and chutney making is all done, I’ll be all over Christmas like a rash. This is so pretty. Good work! I am looking forward to understanding through application how to follow the instructions…right now I just make it up as I go along, lol. But it was a desire I had to want to know and learn a new hobby and I did it. So, Hopefully soon I can make my own “star” as well. Thank you for sharing. It is almost too late to be thinking about Christmas projects, isn’t it? I suppose that depends on how many you want to make–I always want to make something for everyone, so I need plenty of time, lol. Nice washcloth! I have to admit the washcloth is sitting in my house unused – I agree it’s just too pretty. Other bloggers I follow make wash cloths and I love what they do however I still think of them more as works of art rather than functional objects. Maybe I just have to use it and get over myself. Home Ec. 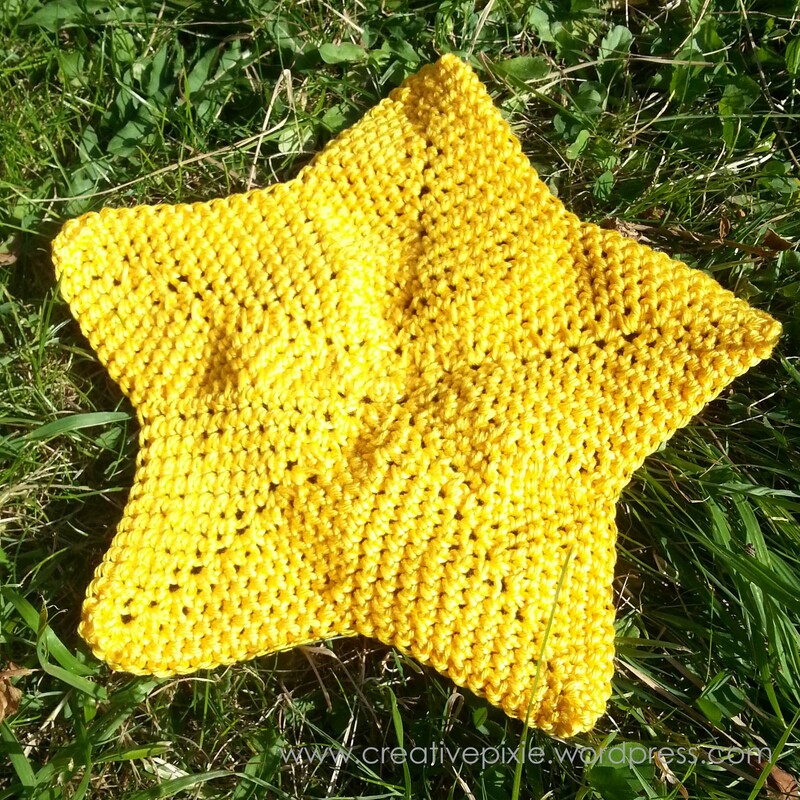 teacher here…who doesn’t know how to crochet…I must say well done…the star is beautiful!! As I’m reading this post…tomorrow is Dec. 1st…so you’re all set for Christmas…set it out next to a manger scene and you’re all set! !